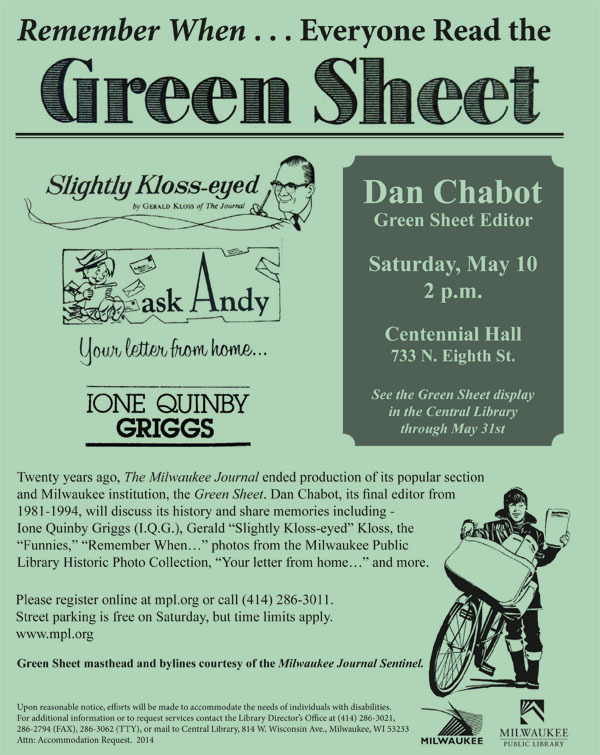 The Milwaukee Public Library will present Remember When…Everyone Read the Green Sheet w/Dan Chabot, its last editor, 20 years after it ended. A small display of Green Sheets, its features and a Peach Sheet can be viewed in the Central Library’s 1st floor hallway and the Periodicals Room on the 2nd floor through the end of May. A small sample of Remember When… and more Green Sheet features will go on display in the Frank Zeidler Humanities Room in early May. You can register online or call Ready Reference at 286-3011. 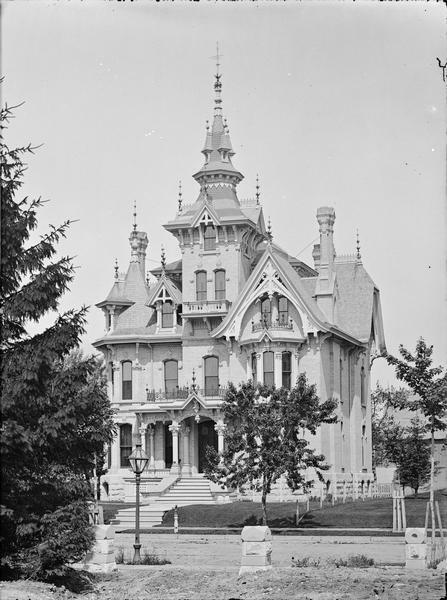 A look at the magnificent mansions of Milwaukee’s Prospect Avenue and the stories they tell. Rare historical photographs presented by Pabst Mansion Senior Historian, John Eastberg, with lively discussion that is sure to follow. Hosted by the Charles Allis Art Museum, one of the great Prospect Avenue mansions. Advance tickets only, $15 per person. 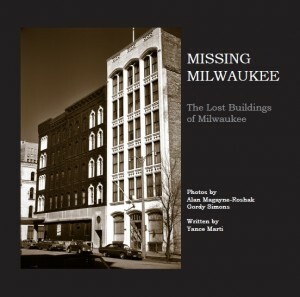 There a always a few good blogs on Milwaukee history that pop up every now and then. Some, unfortunately stay active for awhile and then become inactive but there are some which manage to keep going. Oldmilwaukee has managed to stay active since 2007 with only a few periods of darkness. These are some which I have found recently and thought I’d share them with my readers. The Milwaukee Polonia Project has been going strong since 2011 and although it deals primarily with Polish geneology, it has many historical articles that shed light on the difficulties of pioneer Poles. Milwaukee Mafia History has been going for the past few years and tells many interesting stories about the mob in Milwaukee. Daniel Bridger has many interesting experiences to tell and this site is worth reading. Mid Century Modern is a blog for architectural buffs and I think it is still active. It deals with modern architects and their works in the Milwaukee area. Milwaukee’s Lost Boulevards is an interesting website that shows a history of something many people haven’t realized that we have lost. Up until recent budget cuts have hit Milwaukee’s city departments hard, boulevards were centers of beauty with large raised bed flower gardens. Most of these have been lost although a few, planted mostly with perennials remain. Looking at the Past and Present section makes readers yearn for the lost beauty. 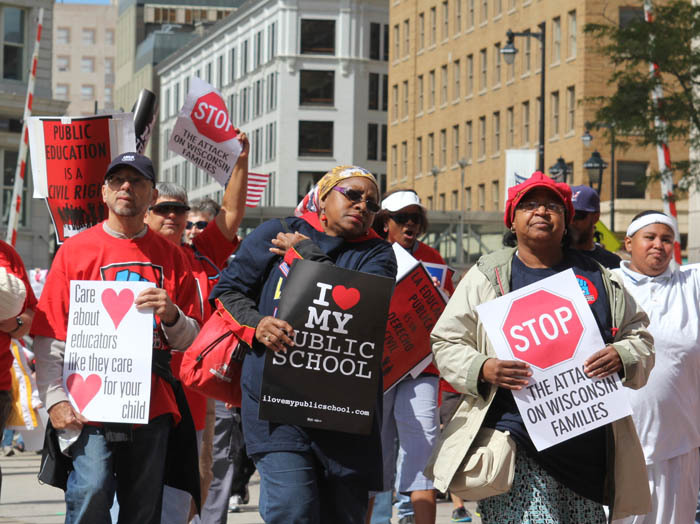 Milwaukee has had a long history of political struggle between various groups of haves and have nots. Opposing groups have always had battles to fight, some bloody and others simply fought in the voting booths. There have been periods of peace but overall those have been few. Historian Greg Afinoguenov, wrote this paper a few years ago dissecting and analyzing the city’s political history in a nutshell. It is an interesting read and gives a fresh perspective on some issues we still wrestle with. Authors Eric Vogel and John Eastberg will discuss their recently published book on Layton, as well as sharing information on the research process and the materials they used from the UWM Libraries. Free and open to the public. Visit the UWM website or Layton’s Legacy website for more details. I have an upcoming lecture next week at the Chudnow Museum of Yesteryear. The lecture will be about some of the buildings featured in the Missing Milwaukee book. It will be a fun event with a Powerpoint slide show. RSVP for a spot today because seating is limited. Admission to the event is only $2 for students and $3 for adults and includes a tour of the museum which is well worth seeing. There is free parking in the lot and the doors will open at 5:30pm for the lecture at 6pm. There are half a dozen books still for sale in the gift shop at the $15 price to be signed at the lecture. Hope to see you there! A great new book about Milwaukee philanthropist and patron of the arts, Frederick Layton is now out on the shelves. 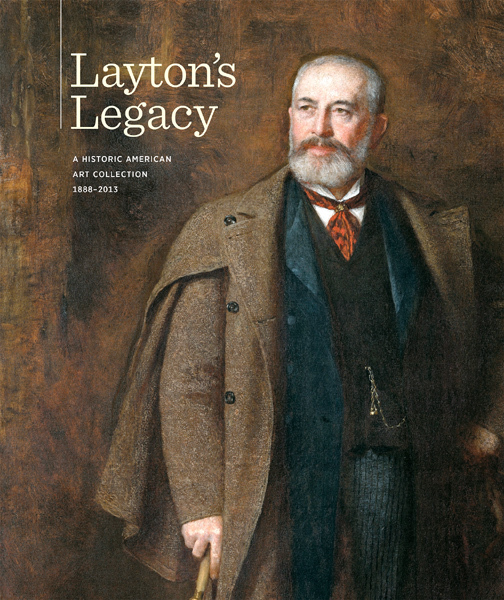 Historians John Eastberg and Eric Vogel have done an outstanding job in bringing this important history of the Layton cultural legacy to print. MILWAUKEE, Wis. – If you ask any Milwaukeean if they’ve traveled on Layton Avenue, most will reply, “yes.” However, very few will know anything about the man whose name is attached to this busy street. This may be in part because when Frederick Layton died in 1919, he left behind no offspring, and some of his greatest gifts, the art gallery and art school named after him, were demolished years ago. The nationally renowned Layton Art Gallery building was torn down to make room for a parking lot in 1957. The Layton School of Art closed as well to make room for a freeway that was never built. Luckily, six of the school’s faculty members went on to found the Milwaukee Institute of Art & Design, and the core collection of the original Layton Art Gallery can still be seen today at the Milwaukee Art Museum. Because of the recent discovery of Layton family papers, travel journals, and vintage photographs, the critical role that Frederick Layton played in developing the city’s love for fine arts and culture can’t be overlooked. Sunday, September 29, 2013 at 3 p.m.
Friday, October 18, 2013 from 6 – 8 p.m. 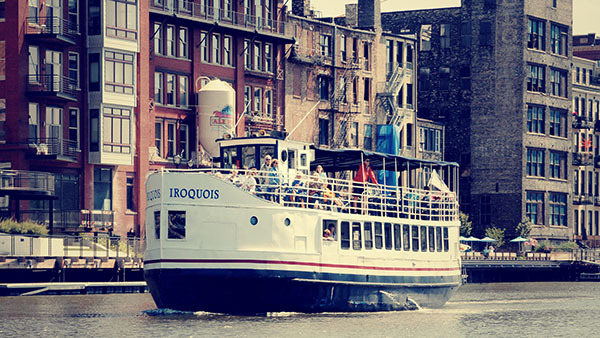 Learn all about Milwaukee’s scandalous and hidden past with the Milwaukee Boat Line! Join historian and author Matthew J. Prigge for the Mondo Milwaukee Boat Tour from 9 p.m. to 11 p.m. on Thursday, June 27 at 101 W. Michigan St. 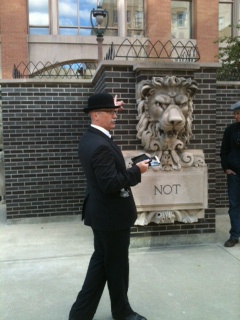 The tour will include all-true stories about such topics as the old downtown vice and brothel districts, the deadliest disasters of the lake and rivers, the years when the Milwaukee mafia ruled the Third Ward, and a long-forgotten mass grave on the city’s waterfront. Prigge is a PhD student in the history program at the University of Wisconsin-Milwaukee (UWM) and has spent the last three summers leading tours of the city for the Milwaukee Boat Line. He has published extensively on off-beat topics of local history, including pornographic theatres, UFO sightings, Depression-Era terrorism, and early-1900s transvestitism. The tour is for adults only. Tickets cost $15 each. They can be purchased online at www.mkeboat.com or dockside the night of the tour. Visit www.facebook.com/mondomke for updates. For more information, contact Matthew J. Prigge at 920-901-4866 or at mjprigge@uwm.edu. 1890s Library Design Competition – John Chojnacki will talk about the design competition held by the City of Milwaukee in the early 1890s for the Central Library. He will show the different designs submitted by various architects. Saturday May 11 – 10:30 to 11:30am, Meeting Room 1 This program has unfortunately been canceled. Sorry!